Prominent pastor and noted Baptist scholar, the late Rvdo. 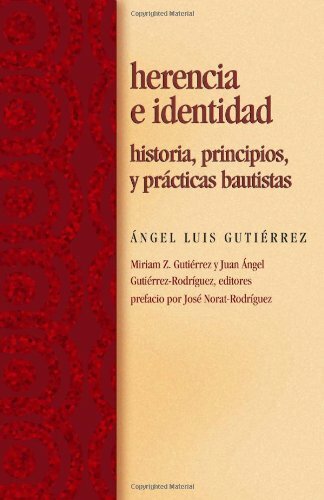 Ángel Luis Gutiérrez, has brought together detailed historical research with biblical texts to explore Baptist heritage and identity in a time when that identity is in crisis. Both well documented and conversationally written, this book is valuable to scholars but accessible to clergy and laity alike, in the United States, Puerto Rico, and beyond. Featuring questions for review and discussion at the end of each chapter as well as a rich bibliography for further reading, the resource will be celebrated in local churches, Bible schools, and seminaries alike. If you have any questions about this product by Judson Pr, contact us by completing and submitting the form below. If you are looking for a specif part number, please include it with your message.